Looking for new homes for sale in Leander, Texas? Nestled in this thriving area just north of Austin, The Enclave at Leander Station offers beautiful, modern family homes that are within walking distance of all Leander attractions. As a plus, they’re also less than 30 minutes from downtown Austin. There’s a house here for families of any size. Use this as your guide to finding the perfect floor plan for your family! 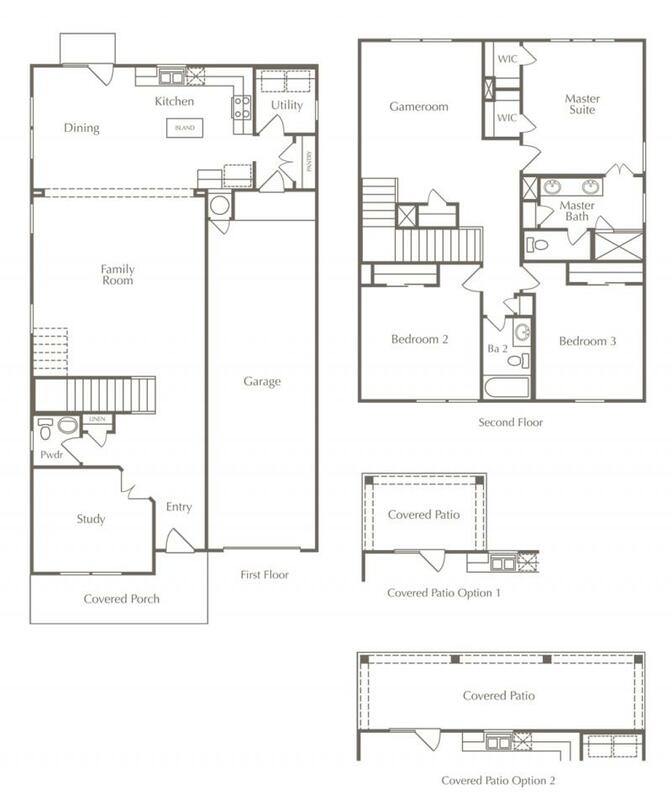 At a cozy 1,550 square feet, the Jackson floor plan is a great option for first-time homeowners. Although it’s the smallest floor plan at this community, it offers couples and young families plenty of room to spread out, with 3 bedrooms, 2 baths and an open-concept kitchen, dining and family room. The Jackson also comes with many desirable features, including a kitchen island, a spacious master suite, an optional study and an optional extended covered patio. 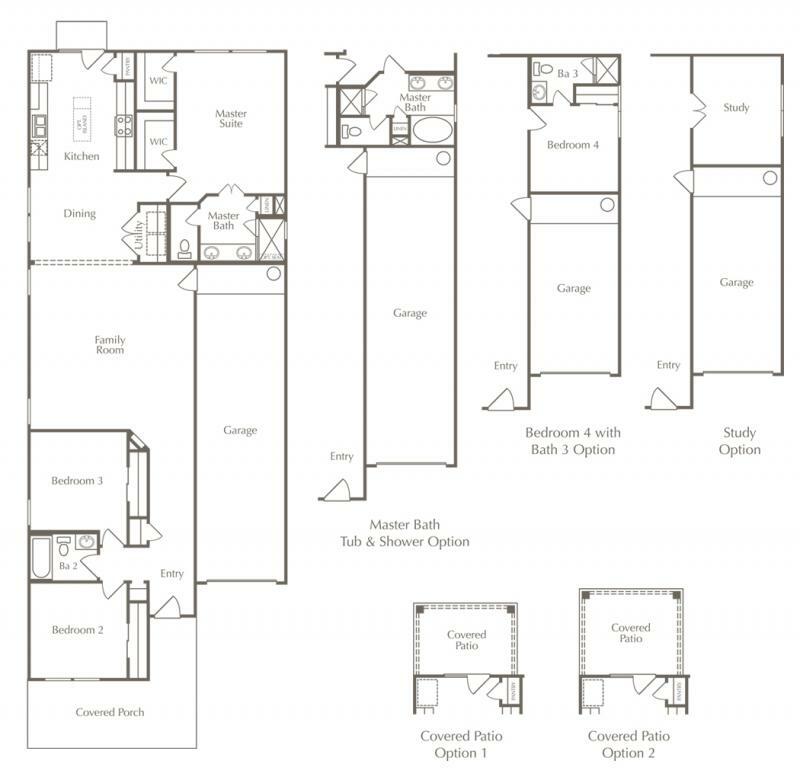 The 1,629-square-foot Bristol floor plan comes with a lot of customization options to make it your own. 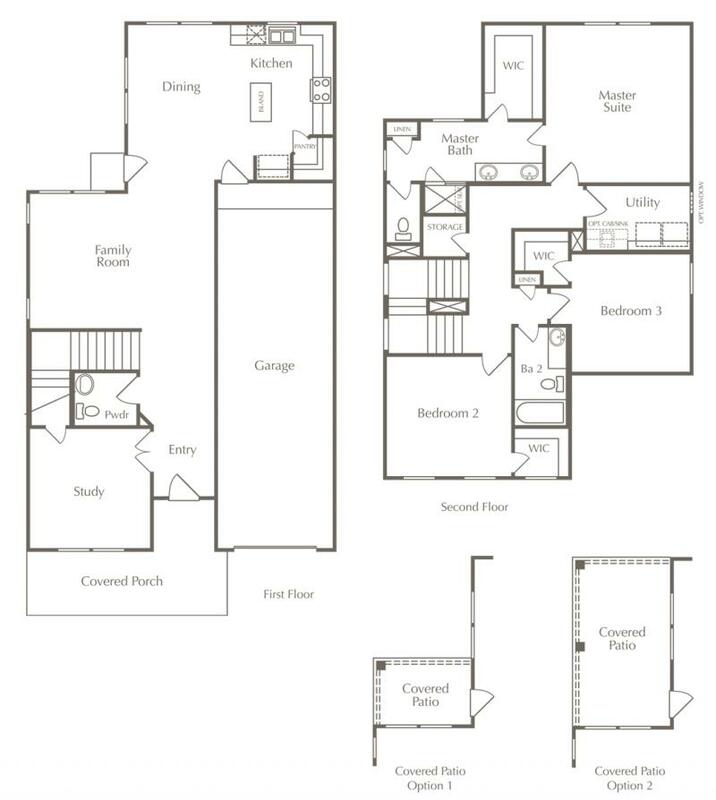 The floor plan features 3 to 4 bedrooms and 2 to 3 baths, so it’s ideal for growing families. If you don’t need that many bedrooms or baths, the extra space can be transformed into a study or an extended garage. In addition, the Bristol’s spacious kitchen, dining and family area is perfect for entertaining. 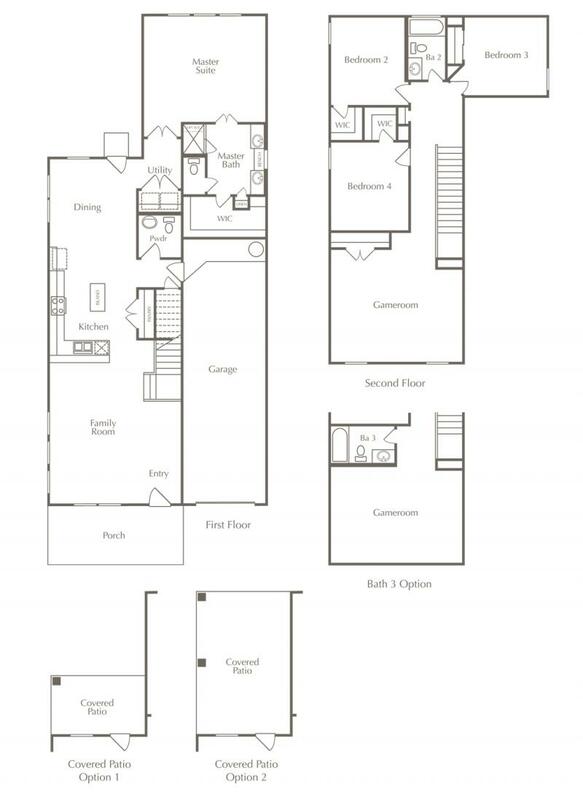 The two-story Danbury floor plan encompasses 1,980 square feet. With 3 beds and 2.5 baths, it’s ideal for smaller families who like to have a lot of extra space. The large master suite and 2 additional bedrooms are all located on the second floor, while the kitchen and dining room open into a vast family room on the first floor. There’s also an extra downstairs room that would make a great study or home office, plus a covered porch and ample garage space. With 3 beds and 2.5 baths, the Monroe floor plan has an expansive second story, including the master suite, extra walk-in closet space, 2 additional bedrooms and a game room. Adding in the open-concept family room, kitchen and dining area on the first floor brings the square footage to 2,201 square feet, so there’s plenty of room for families to spread out and have their own space while still spending quality time together. The Monroe also comes with the option for an expanded covered patio ideal for hosting outdoor get-togethers. 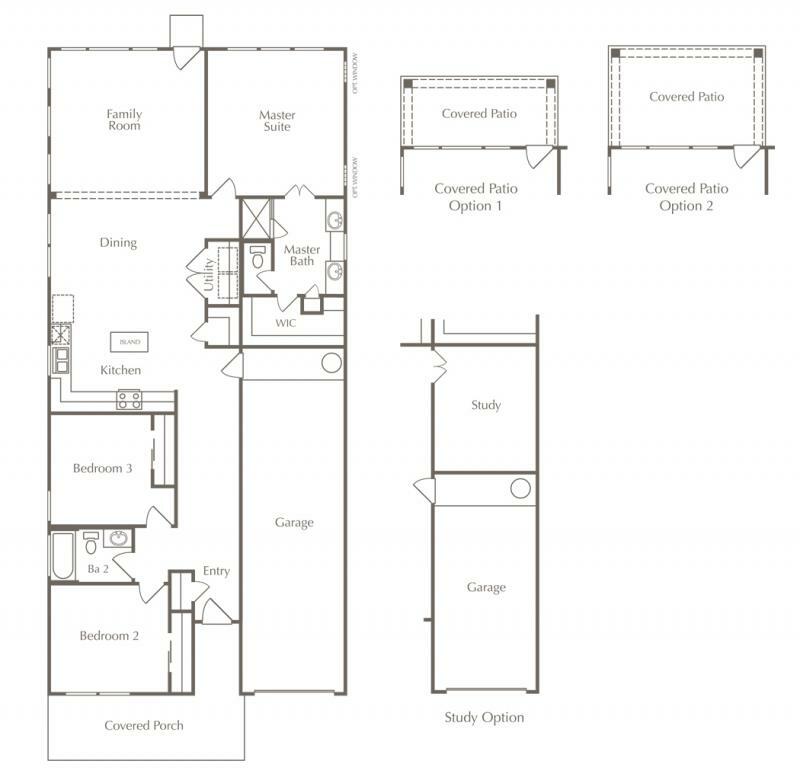 The largest floor plan at the Enclave at Leander Station is the Carlisle. Measuring in at 2,288 square feet with 4 bedrooms and 2.5 to 3 baths, the Carlisle is an optimal choice for larger families—as well as smaller families with plans to grow. The master bedroom and bath are on the first floor, opening into the adjoining dining room, kitchen and family room. Upstairs, the hallway leads to 3 additional bedrooms and a large game room. Contact us at MileStone Community Builders today to learn more about new homes for sale in Leander, Texas—especially those in our new community, The Enclave at Leander Station.